Ok… now the buds are starting to become a bit fuller… any guesses on what this flowering plant is? A hint is that it can take up to 7 years to finally produce a flower from a cutting or if the plant is transplanted to a larger pot. This entry was posted in A lot to do about nothing and tagged Flower, Plant. Bookmark the permalink. 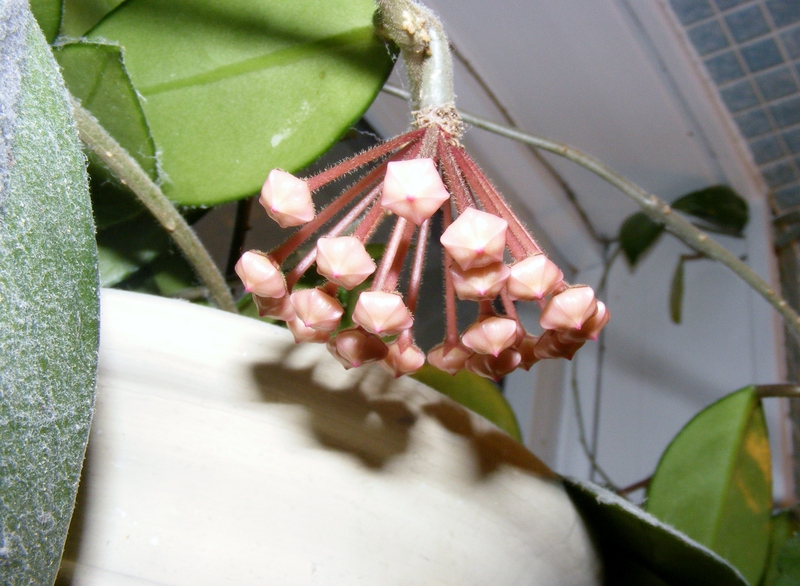 A hoya? Not sure how it’s spelt, but my mom had one in her kitchen window for years. It bloomed beautifully…then we moved and it never bloomed again! That’s it! A Hoya 🙂 Once it blooms I’ll post a picture and put a little right up of it. I like the part where it has a little dew drop on the flower in the morning. My mom has had this plant for years, and it just started blooming about 10 years ago.